The Starks are back, and they mean business! So, where were we? Arya Stark is back to being a true Stark, Uncle Benjen makes a valiant rescue, whilst dropping White Walker bombshell, and finally, do we hear the nagging moans of a zombie mother approaching? Whatever the outcome, the wolves are howling at the moon. The Starks are back, and they mean business! Coldhands Benjen obviously had a lot to do with the Three-Eyed Raven over the past several years since his disappearance and he's got a bit of window into Bran's purpose. Whilst we don't know the significance of book Coldhands, it is safe to assume that Benjen will play a pretty big part in the upcoming battle of living vs. dead. On his ranging mission, Benjen was killed by the White Walkers, only to be reanimated by those pesky Children of the Forest. A zombie Benjen had dragonglass plunged into his heart and now is somewhere between man and White Walker. What the significance of Benjen was is unknown, but it could have something to do with Bran, his raven power and those disastrous trips into the past. They [showrunners David Benioff and Dan Weiss] have such a challenge adapting the books into a really focused television experience. It’s very hard, it’s very complicated, it’s much harder then they’ve been given credit for, I think – and they do a brilliant job. But to bring back Michelle Fairley, one of the greatest actresses around, to be a zombie for a little while – and just kill people? It is really sort of, what are we doing with that? Take these words with a pinch of salt, this was all the way back in 2014 and in the same interview he also said we wouldn't be seeing Rory McCaan's 'The Hound' again. So what's changed, and why now? Episode 6 also meant we saw the return of 'the late' Walder Frey; his sons mentioned in passing Beric Dondarrion and his Brotherhood Without Banners causing trouble for the Frey's. 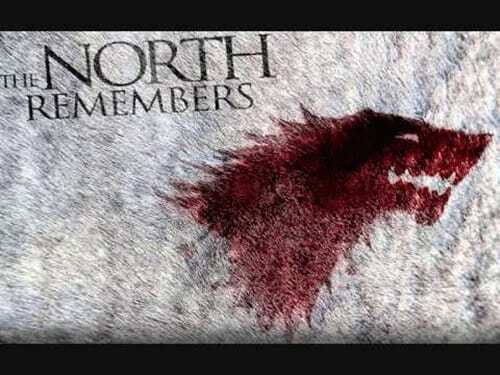 The Brotherhood are the ones who bring back Catelyn from her watery grave in the third novel, A Storm of Swords. Secondly, it is already confirmed that Paul Kaye is back at some point this season as the Brotherhood's resident magician Thoros of Myr. The Brotherhood could just have something to do with bringing back The Hound, but we hope they have been busy with the former Mrs. Stark. Things are looking better for the downtrodden wolf family. Whilst their Direwolves may be dropping like flies, the ranks of actual Starks seem to be growing by the day, with the family (finally) heading on the same path. As for the final piece of the puzzle, we have all been too busy with White Walkers and holding doors to remember poor Rickon Stark. Forget Arya and her Bravos troubles, without a doubt, Rickon Stark is the only Stark we actually are currently fearing for, locked in a rather dangerous position. After Rickon was uncharacteristically turned over to Ramsay Snow by Smalljon Umber, there are the obvious rumours that House Umber's alliance with the Bolton's is just a big ploy. We have all read the articles, but I'm not so convinced. The twisted Ramsay sliced and diced Theon Greyjoy's manhood, and he wasn't even a real enemy of the Boltons. To have one of the surviving Stark heirs in your grasp seems to be a mutilation opportunity that is just too good to pass up on. We all know that flaying is Ramsay's preferred method of dispatch, and the S6 trailer showed us a burning, flayed corpse. Imagine Jon Snow and co. riding into battle to find the flayed corpse of Rickon displayed before them! Take the hint Benioff and Weiss. Whilst we will never go back to those happy times of Direwolves at Winterfell, it is a relief that the doomed Stark clan finally seem to be getting some form of reprieve. Don't rest on your laurels too soon though, the 'Battle of the Bastards'/Bastardbowl means that somewhere in the final half of Season 6 Jon Snow and Sansa will be going up against Joffrey No.2, Ramsay Bolton. In the meantime, place your bets on who/if any stark will actually ever remain dead on this show. Not that we're complaining though - Stark the Herald Angels Sing. Read next: 'Game Of Thrones' Season 6 - Have The Lannisters Lost Their Roar? Review: The Devil is a Part-Timer!